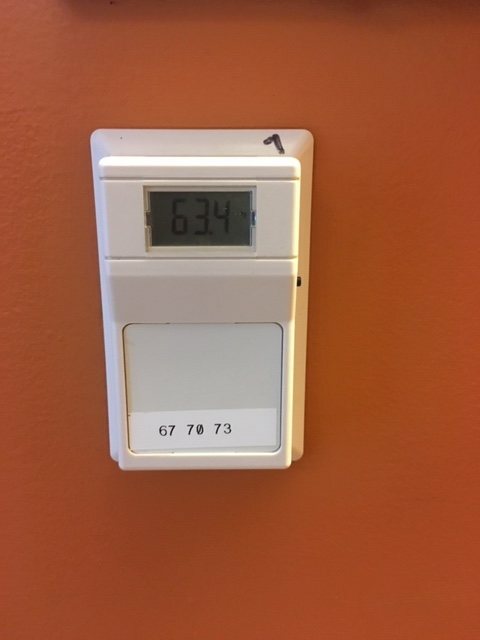 Every building on campus has thermostats to control the heat. At Bates, standard temperature settings should be within 68 to 72 degrees Fahrenheit during the winter season, although some +/-4 degrees fluctuation is possible due to environmental conditions. Some areas are controlled by Building Automation Systems. Building Automation is software that allows Facility Services to remotely control and adjust temperature settings across campus, and troubleshoot reported issues before going on site. In fact, you may not always see a Facility Services employee on site to fix your heating issue if it is something that can be resolved remotely. Check your baseboard heater. Is it blocked by furniture or smothered with objects such as rugs, bedding, or clothing? This will block the heat. Baseboard heaters must be clear of objects by at least 6 in/15 cm to work properly. These may have numbers (usually #1-6), dots, snowflakes, and/or sun & moon icons. Lower numbers, smaller dots, etc., turns heat down while higher numbers, bigger dots, etc., turns the heat up. 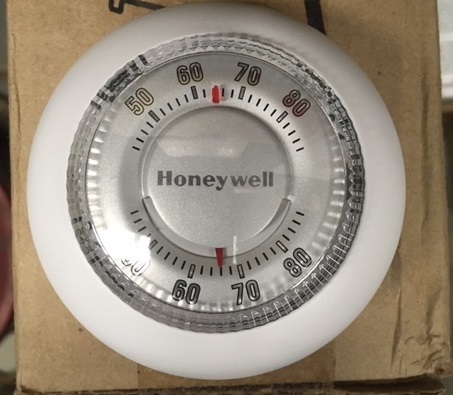 Honeywell thermostats are found in most residential style rentals and TA / Coaches buildings as well as a couple of student dorms on Frye and Wood Streets, these thermostats with direct temperature readings which may be controlled by occupants. The top red line is the temp set point, adjustable by turning the clear plastic piece on the front. The bottom is the current space temp. 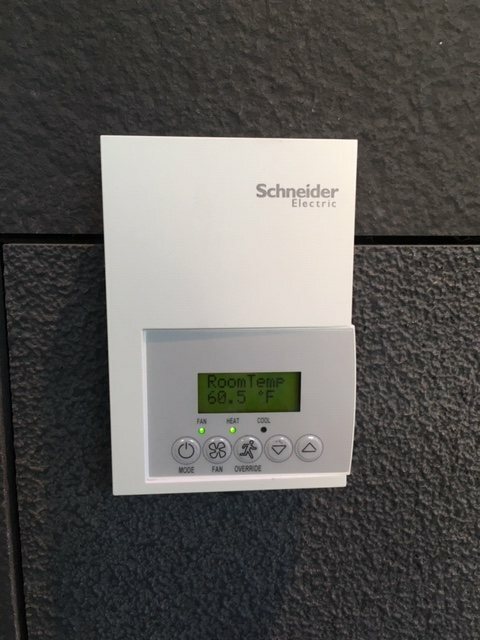 Digital programmable thermostats which may be controlled by occupants are in Chu and Kalperis. 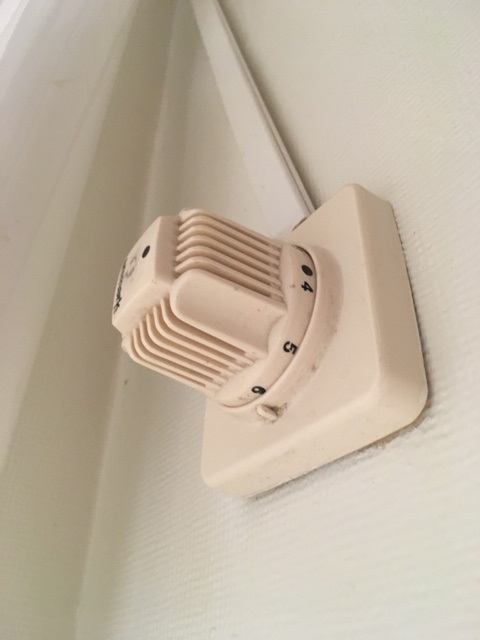 the ability to go +/- 3 degrees using the black switch at the Thermostat bottom. If your room is still too hot or too cold or you have difficulty understanding your control method, please submit an online request by clicking here, or if it is urgent call the work order line.